The 1978 Ford F-150 was the first to be offered in the luxurious Lariat trimline, as well as the Custom, Sport, Ranger, and Ranger XLT trims. Some 78 F150s came off the line with a beefy 169-horsepower Cleveland V-8 engine; output that big came at a heavy price for fuel economy, though, so the 1978 Ford F150 pickup also shipped with a 385 V8, a 460 V8 and a straight-6. Ford's F-series topped the market for the first time in 1978, winning its place as the best-selling vehicle line in America, a position it was to hold for years. The popular trucks drew their following from off-road enthusiasts as well as buyers looking for a sturdy workhorse for farm or ranch. 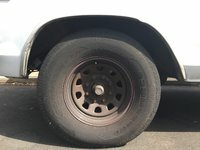 Tuners were drawn to the truck's muscle, and to the variety of configurations of bed, tonneau, and cab (including a supercab extended crewcab option for styleside models, as well as 2-door and 4-door setups). Reliability is the hallmark of the rugged 78 F-150, and you'll find a surprising number of these vintage models working hard (and playing hard) today. What's your take on the 1978 Ford F-150? korns302 My 1878 ford f150 ranger is amazing. I have wanted one for years and after getting my hands on one i wouldnt trade it for the world. Mine is 2 wheel drive but i still take it mudding after long day at work and it just keeps pushing. i have the 5.0 302 and it has nice power with headers true duel exhaust and 4 barrel carb yet still gets 20mpg on the commute to work. over all these old trucks are great work horses that also will turn heads in town. Lowe11 I owned a brand new 78 Ford Ranger XLT Lariat in a metallic warm brown color with creamy beige horizontal side inserts and cab trim. There was a padded headliner (only on the flat, horizontal area) with border trim, wood trim on doors & dash; spare seat & storage behind the front bench, & bed rails. It was a 460 cu inch, 4 barrel, with dual exhaust, & twin gas tanks on driver-side, holding about 19 & 20 gallons each (could switch tanks with a knob while driving). Mostly, it was used as a passenger truck (but also for carrying sheets of plywood & other work/building material), and was ridden extended distances in comfort for vacations; the cab had nice upgraded touches. This was a fantastic vehicle (as a workhorse or comfortable daily transportation) & I wish I still had it. Wish they still made it. GREAT TRUCK!! 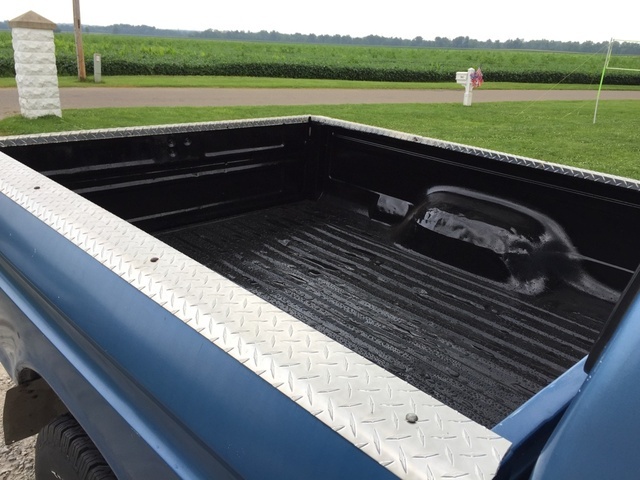 Have you driven a 1978 Ford F-150?